The characters of Kingdom Hearts wander around ranting about the balance between light and darkness, wistfully recalling a past order of warriors, and hitting each other with weird swords. They’re basically the Jedi, but with one big difference—instead of swords made out of light, everyone fights with swords that look like giant keys. 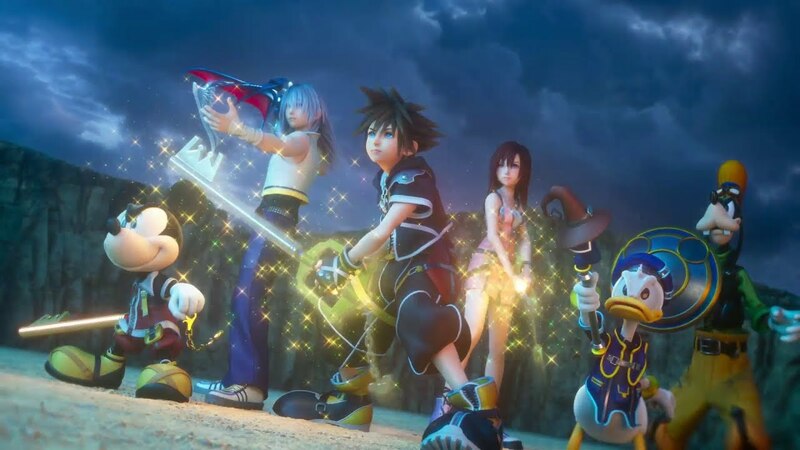 Making keyblades the weapons of choice in Kingdom Hearts allows the game to do all sorts of insane metaphorical bits: locking hearts, unlocking hearts, sealing worlds, unsealing worlds. The problem is that the execution of the keyblades often leaves something to be desired. As Sora travels through the various worlds of the game, he picks up “keyblades” that look like neither keys nor blades. 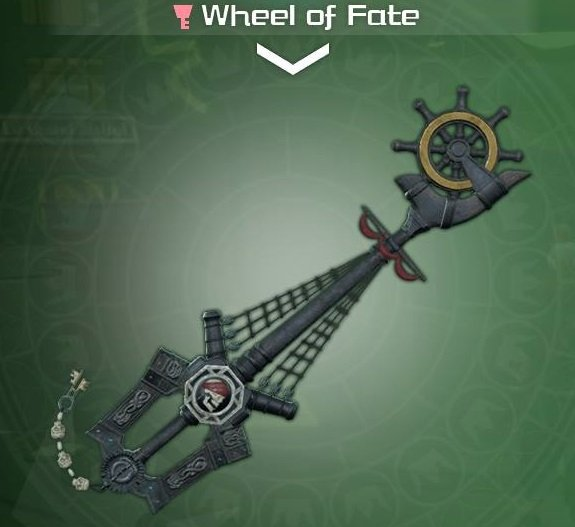 And so, in order to determine the best weapon in Kingdom Hearts III, I’ve gone through the game’s roster of keyblades to scientifically rank them on two axes: How much do they look like keys? 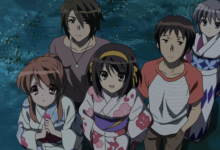 And how much do they look like blades? 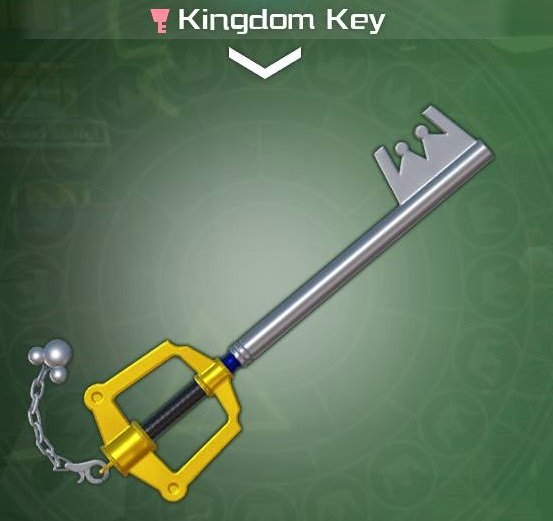 The classic Kingdom Hearts weapon, this one looks like a standard metal key, but with a big yellow handle and Mickey Mouse’s head dangling from the handle. Sure, why not! It’s a big ice spike with a snowflake attached to the end. 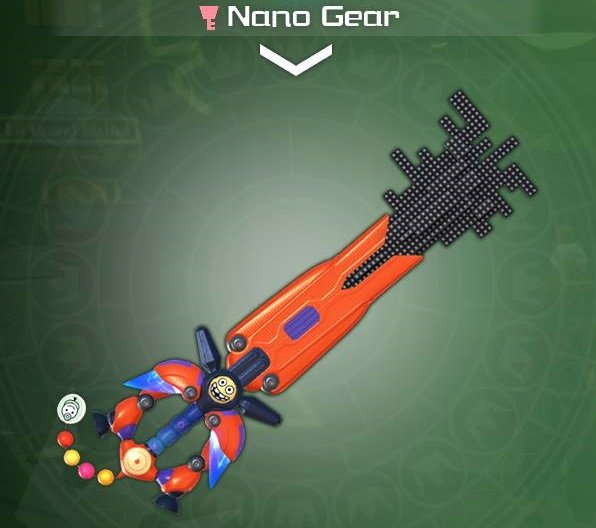 All things considered, that’s pretty close to being a “blade,” and though it probably couldn’t open any door that wasn’t already melting, this keyblade looks close enough to the classic template that it’s not totally distracting. The Monsters Inc. keyblade looks more like a gripping arm than a key—it could easily have been the Toy Story keyblade, if the game pitched it as The Claw from Pizza Planet. 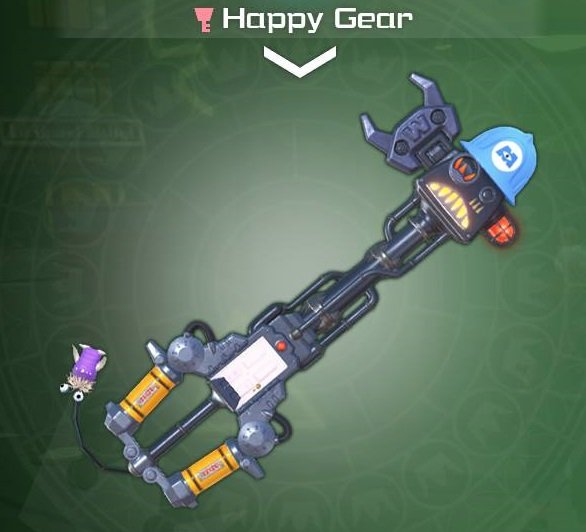 But Happy Gear does seem like a tool you could plausibly use on a day-to-day basis. Maybe even to open doors. Its transformations are giant claws, and then a pair of yo-yos for some reason, that then become chomping claws. Just like the children in Monsters Inc., I don’t know whether I’m supposed to laugh or scream. Okay, guys? 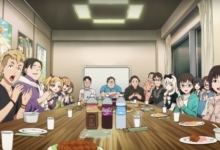 Guys? 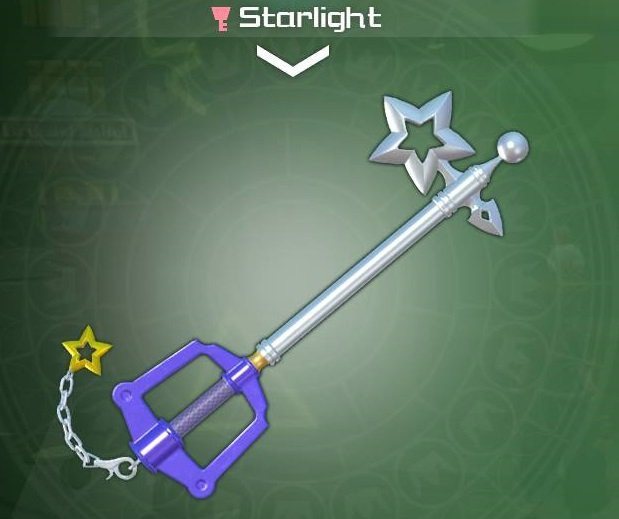 This “keyblade” is neither a key nor a blade. It is a giant cactus with a sheriff’s badge attached to it. How does the sheriff’s badge not come off? How does it damage anything? Why doesn’t the Toy Story weapon just look like one of Buzz Lightyear’s wings or something? What are we even doing here? This is a big USB drive with some spikes poking out. Not a key. Not a blade. A big USB drive with spikes on the end. Fighting out of Pirates of the Caribbean, this one is a ship’s wheel on top of a little mast. The coloring consistency means it looks a bit more intimidating than some of the other, wackier keyblades, but it’s still ultimately crafted from objects that are not supposed to be part of a sword. Another classic shape, but instead of the “key” it’s a big metal star, which I guess could be sharp enough to leave some gashes in the Heartless. 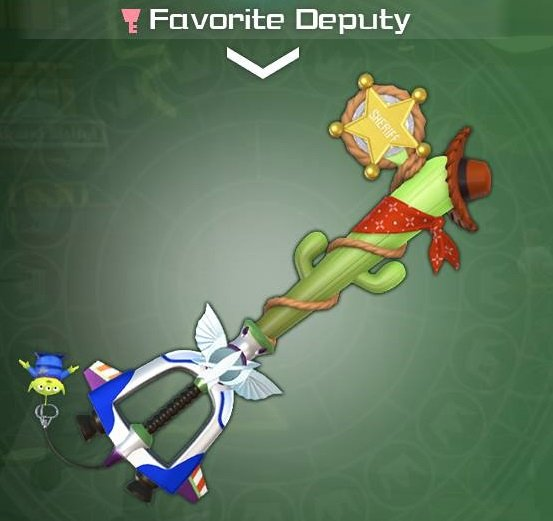 Okay, we can have one keyblade with a star on the end—but two? 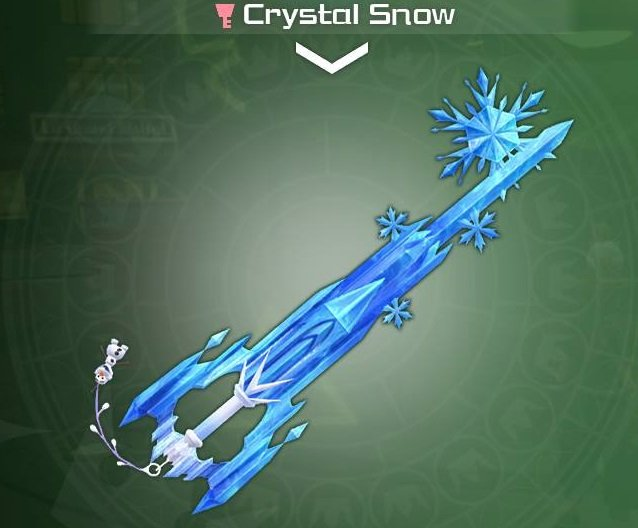 You pick up this one in Twilight Town, and though the design is appealing—a sword that looks like a comet is a cool idea — it just doesn’t measure up to Starlight on either key-ness or blade-ness. 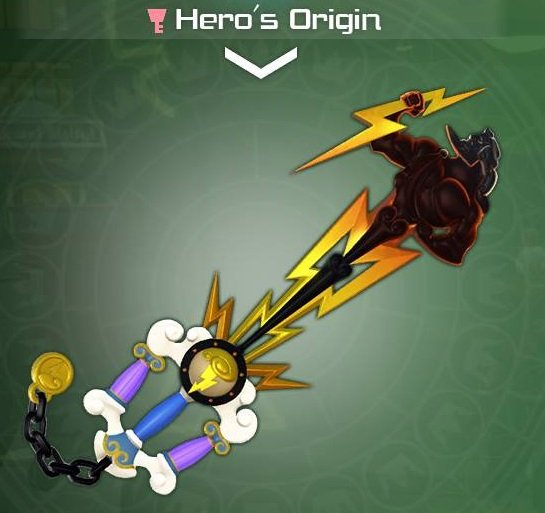 This keyblade from the Olympus world is a little statue of Zeus holding a lightning bolt that forms the “teeth” part of the key. The bolt, at least, looks like an effective weapon. This optional keyblade shows up in the Hundred Acre Wood world. And, like the name suggests, it’s a stack of honey pots with a bunch of actual honey frozen in place coming out of the end. 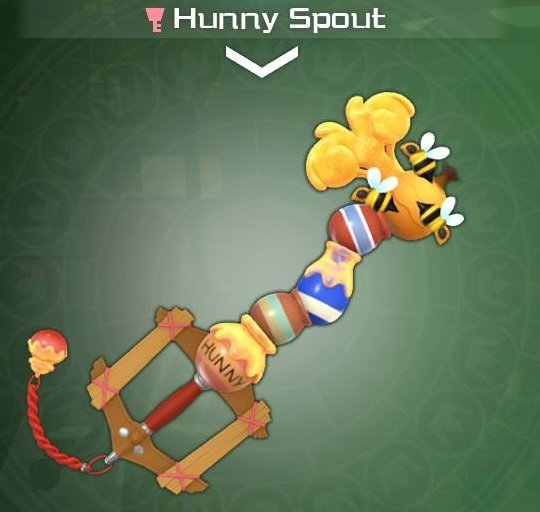 Props to the keyblade design team on maintaining the basic form of the keyblade while continually making it look like honey is going to ooze out in the heat of battle. Plus, bees! 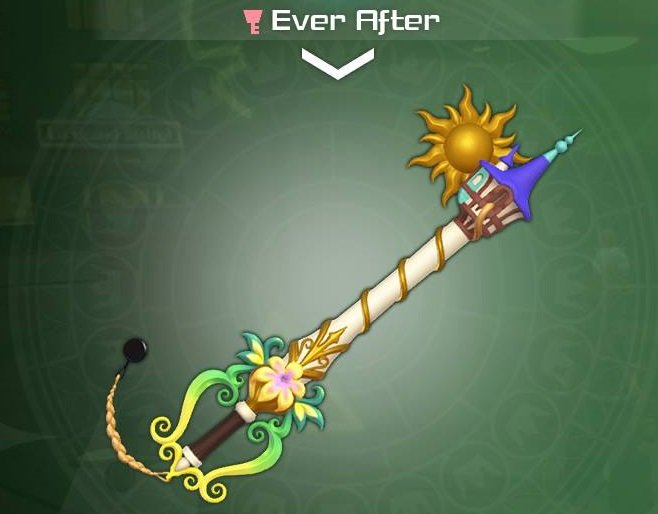 The Tangled keyblade looks like Rapunzel’s tower, but with the sun sticking out of it. 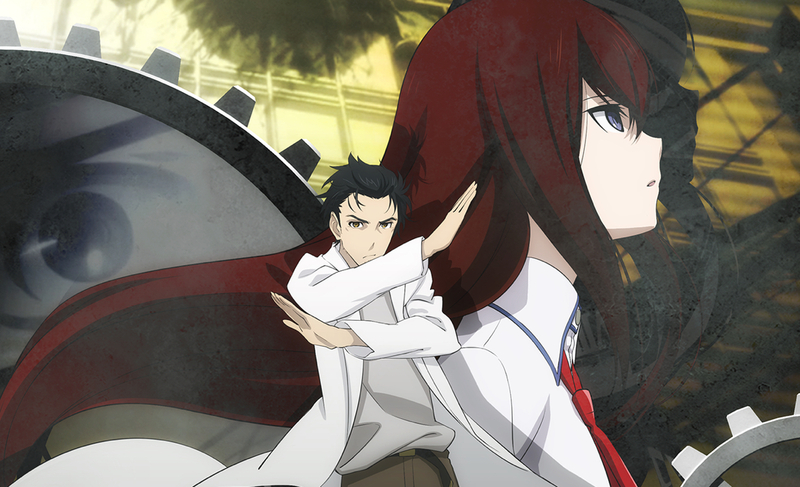 Sure, go ahead, hit people with the sun. Who even cares anymore. 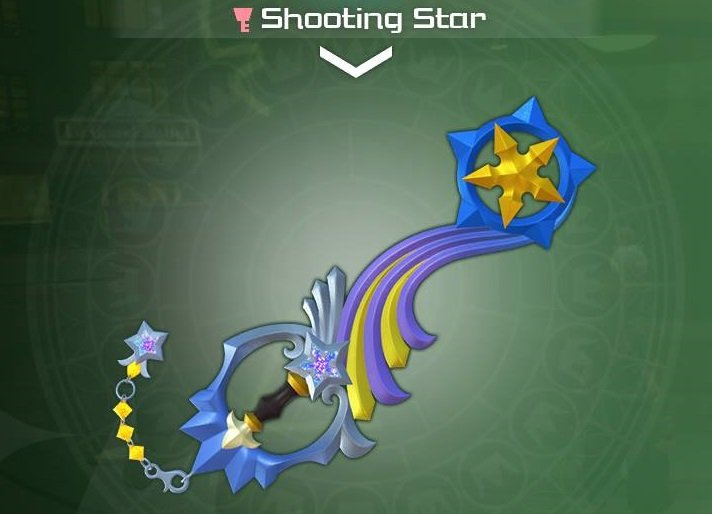 The best weapon in Kingdom Hearts III, the Ultima Weapon is closer to the look of the older keyblades throughout the game — the ones used by Aqua, Terra, Ventus, and all of those other characters you probably don’t remember unless you played Dream Drop Distance. 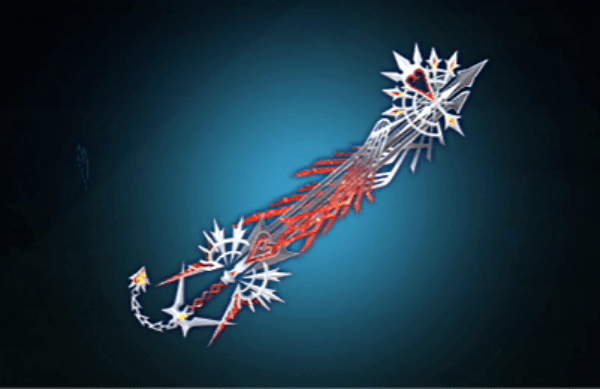 Though the Ultima Weapon looks like a pretty great Final Fantasy weapon (the spikes! ), I have no idea how you would use to actually open anything. Riku used to use Soul Eater, a big purple fish fin that constantly threatened to collapse into just looking like something from Soul Calibur. 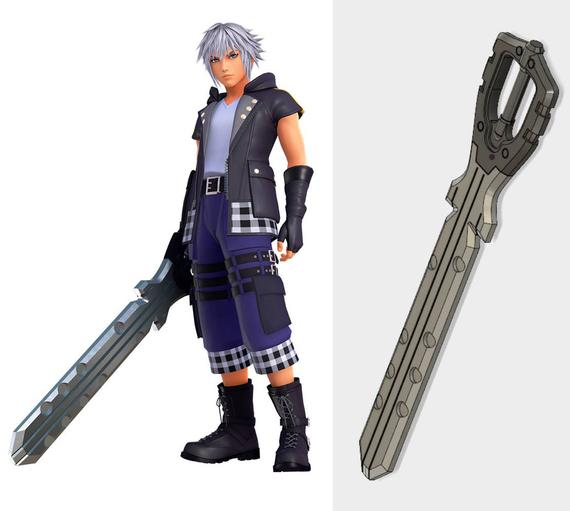 His new, unnamed keyblade has a cool, fresh vibe — it looks like a big car key! But that means that Riku now has broad blade with notches that could still be used to start a gigantic motorcycle, if he ever had reason to drive one. 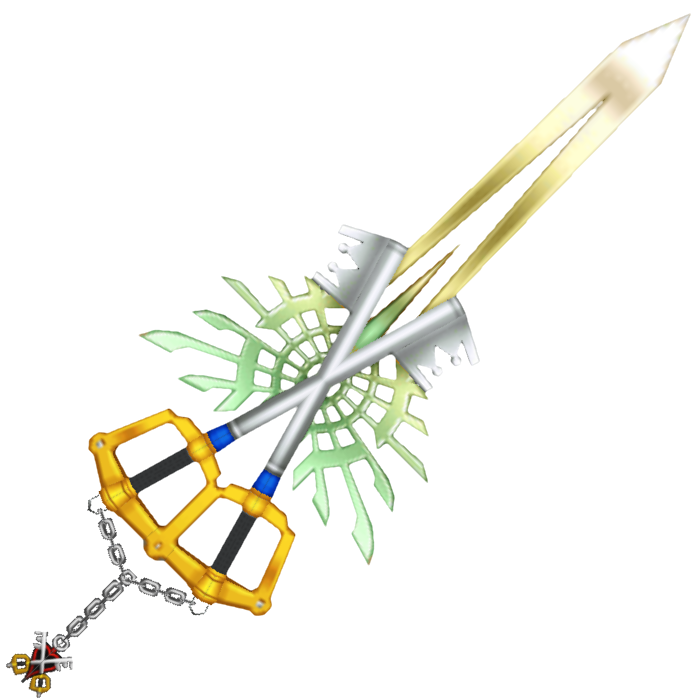 The ultimate keyblade, crafted from 13 hearts and used to open the way to the real, actual Kingdom Hearts at the end of the game. It’s also pronounced “keyblade,” because that isn’t confusing at all. 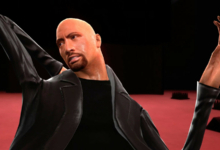 Creating the χ-blade is Xehanort’s goal throughout Kingdom Hearts III — and arguably Kingdom Hearts I and II — and it… does not live up to expectations. This is two Kingdom Keys fused together, with a spike coming out of them! How is Xehanort even supposed to use this thing to hit you? It’s not intimidating at all! Shut it all down and start over, maybe next time we’ll get a Fun Home-inspired Ring Of Keyblades.